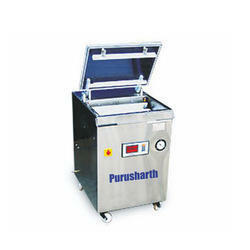 Banking on our vast industrial experience, we offer Portable Vacuum Packing Machine. Micro-processor based controls, Sensor based system for accuracy, Four preset programs, Cycle counter, digital Display, Initial fresh air flushing for pouch protection, Manual power failure air intake system, Fully stainless steel option. 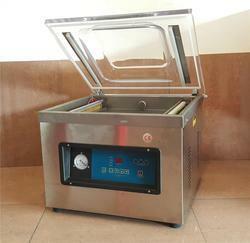 Vacuum packaging machine, Model DZ 300, comes from Pentagon Marketing. Operation – as soon as one presses down the vacuum case lid the machine automatically starts the process of aeration, vacuumisation and sealing.